As everybody knows, the most striking thing about Windows 8 is its Metro interface--those brightly colored tiles that serve as both shortcuts to programs and live widgets reporting data from those programs. The interface has been widely praised around the Web, and for good reason. It's a bold innovation (especially coming from a company that's normally so timid), it looks great, and it makes getting around Windows a lot more fun. But in the Windows 8 Consumer Preview, at least, Metro is as annoying as it is innovative, especially if you attempt to use it with a keyboard and mouse instead of with a touchscreen. Among other problems, its shortcuts are difficult to use, it disappears without warning, and it makes any attempt to change settings on your PC a scavenger hunt. 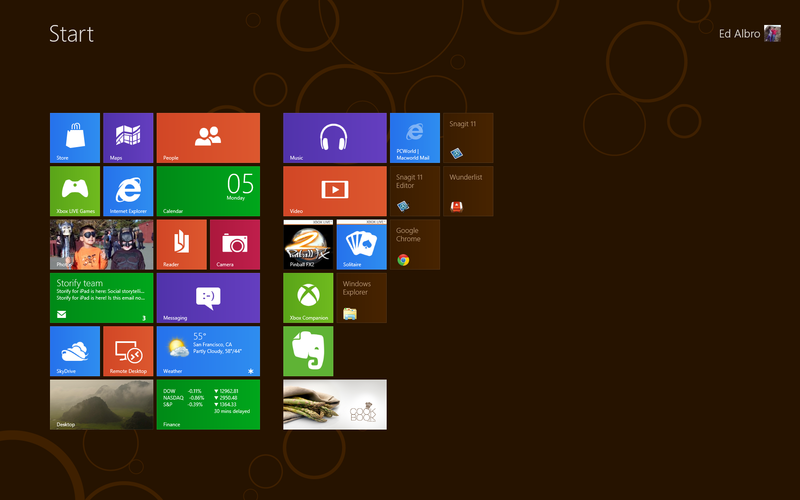 Windows 8's Metro UI features lots of brightly colored, interactive tiles. It's important to remember that the Consumer Preview isn't final code, and Microsoft will--I hope--fix many of the problems that now afflict the OS before it releases its final product. But if you're thinking about downloading the preview version, you ought to know about these problems. And unfortunately, some of the issues are so fundamental that I wonder whether Microsoft can come up with satisfactory fixes for them in the upcoming months. Here's what's bothering me about Microsoft's new interface. There's a wide gap between Metro and the regular desktop. 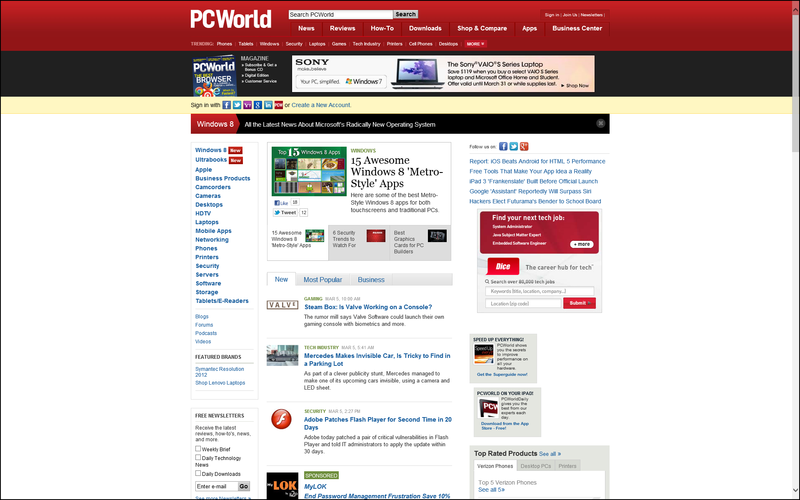 With a Windows 8 PC, you can either be in the Windows Phone 7-style Metro interface or on a desktop that closely resembles the traditional Windows 7 desktop. But these interfaces don't just offer two different ways to look at the same thing. They act more like two separate operating systems working side-by-side, with separate apps, different settings, and very different rules of operation. If you access Internet Explorer through the desktop in Windows 8, it has an ever-present address bar and tabs for open windows, by default. Take Internet Explorer, for instance. On the traditional desktop, IE by default has an ever-present address bar and navigation buttons, as you'd expect of a browser, and you can run the window maximized or not. In Metro, IE's address bar and navigation buttons mostly disappear once you're on a page; the window is always full-screen and you can't make it smaller. If you enter IE through the Metro interface, the address bar and window tabs disappear. You have to right-click an empty portion of the page to see them. And as if it weren't confusing enough to have the same application operating differently depending on the interface you select, there's also this: Suppose that you're browsing in IE in the Metro interface, but then you switch to the regular desktop and click the IE icon there. You won't see the Web pages you were just surfing in Metro. Instead, you'll find yourself in a whole new instance of IE, starting from scratch. Experiences of this sort make Metro and the traditional desktop feel not like two UIs laid over the same operating system, but like two separate operating systems coexisting on the same machine. It's hard to stay in Metro. It may not be obvious from my complaining, but I like the Metro interface, which is why I'm frustrated that getting knocked out of it--especially on a dual-monitor system--is so easy. Typically, if you have two monitors, your primary monitor will use the Metro interface and the other will use the traditional desktop (unless you mirror the primary desktop on the secondary, but what's the point of that?). Click in a window on the non-Metro display, and your other screen automatically switches from Metro to traditional desktop. If you're on the Metro start page and you choose the wrong option, such as a shortcut to a non-Metro-ized application, you get bumped out of Metro. Metro shortcuts are tricky and annoying. Clearly Metro was designed, first and foremost, to work with a fingertip. But I found that trying to make it work with a mouse and a keyboard was often frustrating and seldom intuitive. 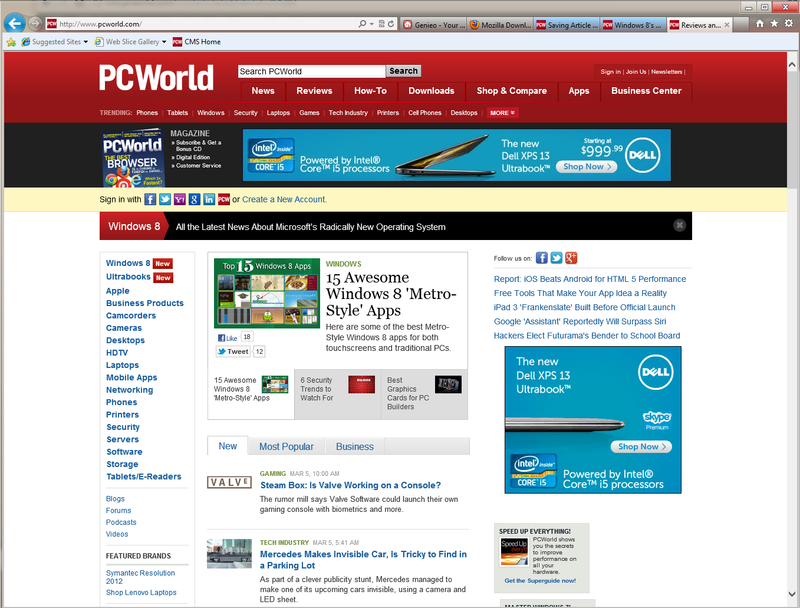 To open the Metro start page, for instance, you drag your pointer to the lower left corner of your screen. A thumbnail image of the start page pops out. My instinct, honed by thousands of Flash interfaces on the Web, is to move my pointer into the popup and click. But in Windows 8, If you do that, you actually click whatever icon beneath the popup window your pointer happens to be resting on. In Windows 8, you have to keep your pointer off screen while you click. This change is easy to learn intellectually, but harder to make instinctual, given the years of conditioning we've had to do the opposite. As I mentioned earlier, IE in the Metro interface often shows no address bar or other buttons, including tabs for other Web pages that the user already has open. I tried everything I could think of to get them to appear--moving my pointer off the top and bottom of the screen, trying to "grab" the bars with my mouse while it was off-screen--but nothing worked. Finally, my colleague (and Metro enthusiast) Nate Ralph told me that I had to right-click an empty area on the Web page to gain access to the controls. Without his timely intervention, I might have thrown something through my monitor.